With Gerald R. Brown, Atlanta. 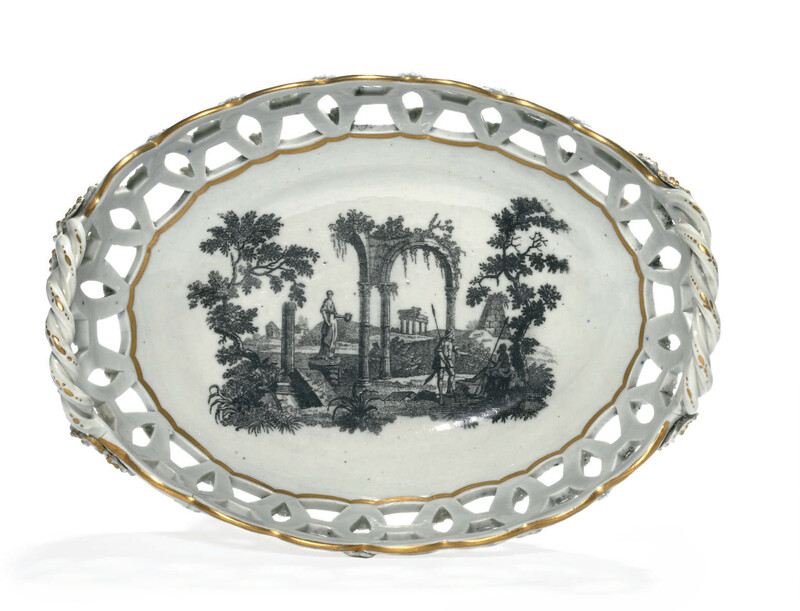 Property from the Estate of Anthony B. Graves, formerly in the Estate of Gerald R. Brown; Sotheby's, New York, 21 April 1989, lot 84. For tea canister printed with this scene in the Joseph Handley Collection, see 18th Century English Transfer-Printed Porcelain and Enamels, Carmel, 1991, p. 165, no. 5.17.